There is a new Demo available! 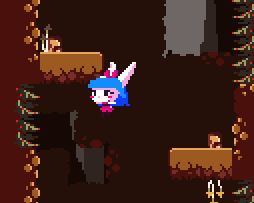 A twitchy platformer wherein you'll play a bunnygirl in constant danger. Spikebuggles will be my doom. Well, this turned out to be mostly a bug report, but hopefully it'll be useful. 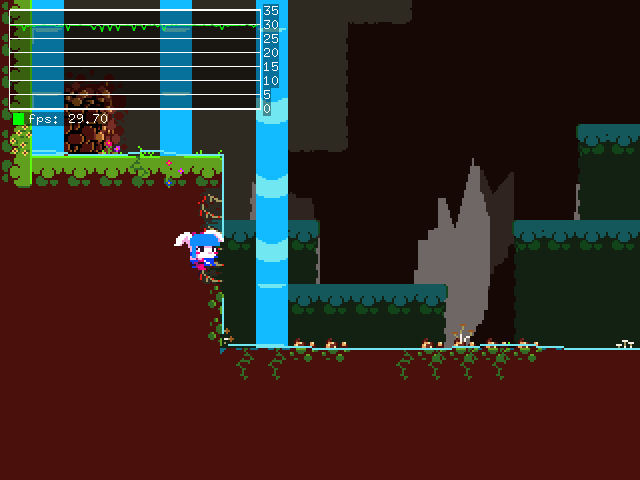 I'm enjoying the game so far and the art is super cute, although I must say I'm not a fan of the 30fps limit, especially in a fast precision platformer like this. The run speed has been reduced, glad it feels better now. The spikebuggles are like that on purpose, they don't mind Bun hopping on em but if she rides too long without moving they knock her off. No double jump when running is also intentional, as is the way to get around it as I thought it was funny so I left it alone. I actually meant to allow a jump when falling off a ledge but it broke when I changed how jumps work. I'll fix it! I thought I'd fixed the title issue, guess not. I'll look into it! Same with running behind spikes. Or rather I knew it might be a problem as I forgot to calculate speed before collision for the wall spikes. I'm looking into FPS fixes now. There's an oddity with animation speeds that needs fixing before I can get it working but it will be 60fps when everything is said and done.